We are a premier home remodeling company, creating distinguished homes in prime locations within Los Angeles. Our mission is to develop strong relationships and build exceptional masterpieces. 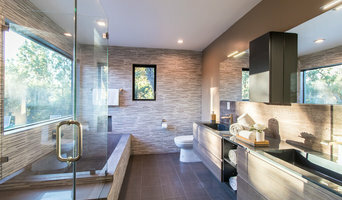 SES Builders Inc. is a General Contractor with over 10 years of experience in New construction Roofing Additions Garage Conversions (ADU) Kitchen / Bathroom remodels Decks / Porch Interior & Exterior Paint Landscape / Hardscape Pool Construction Outdoor Kitchen & entertainment areas Open floor plan renovations Architectural design / Plans/ Blueprints & more! Our team is highly trained, licensed with the California State License board, Insured & bonded to bring our clients peace of mind and complete satisfaction. Personalized client support, Professionalism, and Quality Workmanship are just some of the many qualities our team brings to our client's. Call now to schedule your FREE consultation, one of our friendly representatives will be more than happy to assist you! Free granite countertop with the purchase of either kitchen or bathroom remodel! Customer satisfaction is our number one priority at Glover Roofing in Milpitas. We take the time to work closely with our clients and provide product brochures that help you to make an informed choice regarding materials. We combine communication with superb service, and that’s what we strive for with every project, every time. If you’re looking for excellent service, industry-standard materials, safe practice, honest quotes, thorough evaluation, and consistent communication from your roofing contractor in Milpitas, then Glover Roofing is the right option for you. 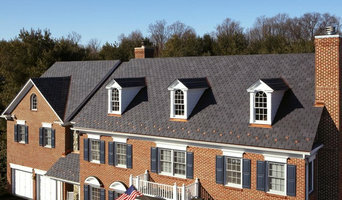 Our team of roofing professionals in Milpitas are experienced in both residential and commercial roofing projects. We can work with all materials you have including composition roofs that can be rated from 20 and 50 years by manufacturing, single ply systems, flat roofs, modified bitumen, metal roofs and tar and gravel or any other roofing material. 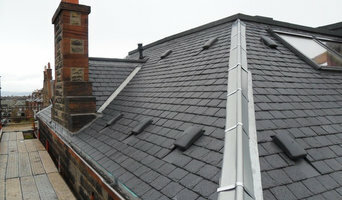 We will help you with every step of the process and you can rest assured that your roof is in good hands. Our offices are located at 500 E Calaveras Blvd Ste 190 Milpitas, CA 95035, so you can always reach out to us for any roofing upgrade needs or consultation in Milpitas and surrounding areas. We have years of experience in our field. Whether you want to upgrade your roof or just thinking of a simple repair, we can help you do that in the most efficient way. We can recommend specific materials for your roof that can help you save money both on your insurance rates or energy bills. Call us today on (408) 906-8025 and get the service that you need. Unlimited Construction & Remodeling, Inc. is a family owned and operated business, bringing a combined experience of over 20 years in construction and remodeling to residential and commercial communities throughout Los Angeles, Orange, and Ventura Counties. We are a fully licensed, bonded and insured company specializing in complete home makeovers and commercial renovations. As a family business, we strongly believe in putting the customer first. Our high customer satisfaction comes not only from the best quality materials and workmanship delivered, but also from providing our customers with the attention they deserve to reach the finish they desire. Our initial consultation with our clients helps gain trust and confidence in our ability to perform any construction or remodeling task required, as we concentrate on all the possibilities of achieving the goal within budget and within all current building codes. We treat each property we work on as if it were our own. Please contact us today for a free consultation and estimate. Over a period of 20 years, ABC Home Builders has built a reputation as the top home remodeling company in Los Angeles. We developed a core business philosophy which includes quality of work and customer satisfaction. Our tradesmen are carefully selected from the best in the industry. They are all professional craftsmen in their specialized field. Our craftsmen are top quality specialists in carpentry, plumbing, tiling, electrical work and other trades. ABC Home Builders will complete your home remodeling project on time and within your budget. 1 OAK Remodeling is a full service construction and remodeling company. Our goal is to satisfy and exceed all of your dreams and expectations on every project. Our mission is to provide and deliver our customers with comfort and an outstanding experience. We can help you with new construction, Blue prints and designs along with general remodeling and home repairs. Quality work at an affordable price! We take pride in our customer service to provide objectives and solutions along the way. Our team will take you step by step through the process and our experts will help guide you through your project with the highest standards and professionalism in the industry. We are always available to answer your questions and concerns. Over 96% of our customers call us back for more work as we get the job done right the first time. We will be there when you call to answer your questions and concerns day and night. If you're tired of looking for a contractor you can trust, contact us today for a free quote and we won't let you down. Over 35 years in the construction industry in both commercial and residential services. We specialize in shop at home services and free estimates. G-FORCE CONSTRUCTION can also be a liaison between you and your insurance company helping you to get the most out of your claim. A P Roofing is a licensed roofing contractor based in the Los Angeles area; We specialize in applying commercial and residential roofs in the greater Los Angeles area. With more than 12 years experience installing new roofs and roof repair services our crews are highly trained to install custom roofing applications. Like so many L.A. residents and happy customers, you will be glad you found us. After all, you deserve the best roofing workmanship along with the best prices, but most importantly, because of this economy you want to be sure you check one or more references. Some of the more popular new roofing applications and roofing repairs services we offer are Waterproof Roof, Fireproof Roof, Tile Roof, Metal Roof, Flat Roof, Slate Roof, Tile Slate, Hot Tar, Roof Repair, Residential Roof, Hot Mop Roofing Repair, Concrete Tile Roof, Lightweight Tile, and Misc. Roof Repairs. I am very passionate about what we do and proud of how we run our company. I am a Licensed, Bonded and Insured General Contractor. We service the greater Los Angeles area. Our organizational skills ensure that job-sites are clean and completed on-time. When you choose Focus Craft you can rest assure that we produce top quality renovations and remodeling projects giving you a sense of security, confidence, positive experience, and pride you deserve.